We are very proud of our line of products, and we decided to give more of an in-depth description of how to mix them into your paints, as many people have expressed a little bit of fear when it comes to dealing with powders in paint. It is truly noting to be afraid of, as every paint company out there does the same thing so that they can charge you more than double the price for custom paint! With our products, you can still use your favorite brands of paint (by buying their binder, blender, or inter-coat clear). 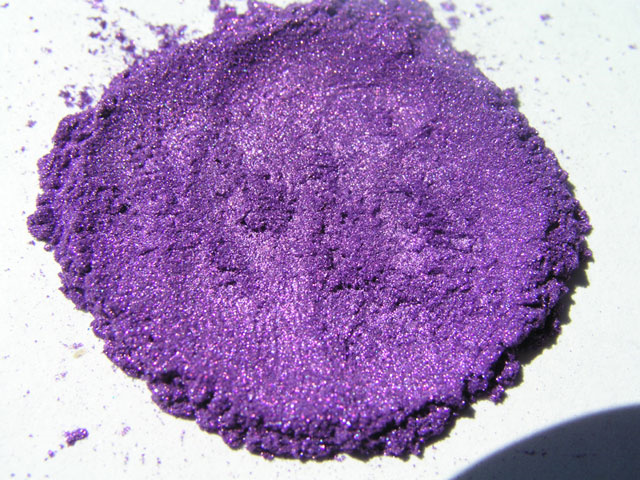 You simply need to mix our pearls, candies, metal flakes, or temperature-changing pigments into their products. The following YouTube video demonstrates exactly how easy mixing your own custom paint really is. Keep in mind: the ratios of powder will vary depending on which one of our products you are using, and how much you want to use. For Candy and Chameleon, use 1 bag per mixed quart. This is a starting ratio and can be altered to your taste. Black base coats are easier and more forgiving to cover so may use less pigment, whereas a white or silver base may need a bit more pigment to really pop. The video is a quick and simple way to visually see how easy it is to mix and use our products to make DIY custom paint. Determine your manufacturer’s mixing ratio. For All Kandy Base Clear or other base clears, it is almost always 50/50 with reducer/clear. Add reducer/clear, our product, and mix to one sprayable quart. Note: When mixing Ghost Pearl, use only 1 teaspoon per mixed quart (a little less over black base coat), and for metal flake, use 1 heaping Tablespoon per mixed quart.